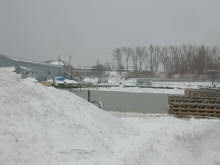 Each year a Lake Ontario status update is presented by the NYSDEC Bureau of Fisheries. I am happy to say that overall the current condition of the lake is pretty darn good. As the ever changing ecosystem that is Lake Ontario, evolves, responds, and regroups, seemingly on an annual basis, this wonderfully resilient body of water continues to thrive on new challenges. The well managed fishery continues to provide some of the best angling opportunities on the planet. It does not happen by chance; rather it is the result of scientifically sound management decisions. When left in the hands of fishery professionals good things happen. For a charter Captain, the lake offers an opportunity to run a business and provide plenty of fishing adventure. 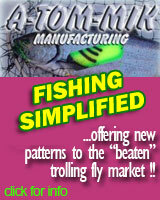 For the weekend angler, fantastic fishing is the norm. According to the DEC, the alewife population is buoyed by a very strong year class that hatched two years ago. There are tons of two year old baitfish that are going to provide an abundance of growth energy for the hungry predators that swim the depths. Last year Chinook salmon averaged three pounds heavier than relatives caught the year before. 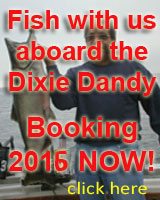 Since bait will be plentiful we expect salmon size to increase once again. In addition, the Coho salmon catch rate was twice the long term average. Other good signs are, an apparent increase in sculpin, and a round goby biomass that seems to be leveling off. We have noticed that cormorants are feasting on gobies which are plentiful close to the devil bird's nesting sites. 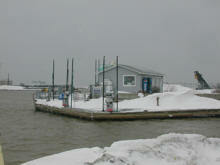 This bodes well for fish stocking further west of the St. Lawrence River area as the birds seem to be staying home. On the Lake Trout front, repairs to the Allegheny Federal Fish Hatchery are well under way and for the first time in three years, Lake Ontario will receive a full allotment of over 500,000 lacers for stocking in New York State waters. Wild Chinook salmon fry continue to be found in annual netting trawls in the Salmon River in record numbers. The big question is how many will achieve adulthood. 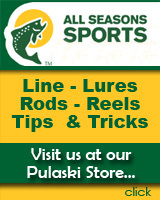 Purchase of a state of the art fish marking system will help provide the answer. Right now it looks good for the marking system to be added to the DEC's arsenal of stocking equipment. Finally, we have yet another new ballast water invader, the Red Shrimp. This tiny fresh water critter (1/2 inch in size), prefers shallow depths 160' and under. It just might be a new member of the lake's food web. Only time will tell. The current snow cover is going to result in a major spring runoff which will translate to excellent fishing. It is looking real good for 2007. Hope you are going to fish with us. The countdown is underway!